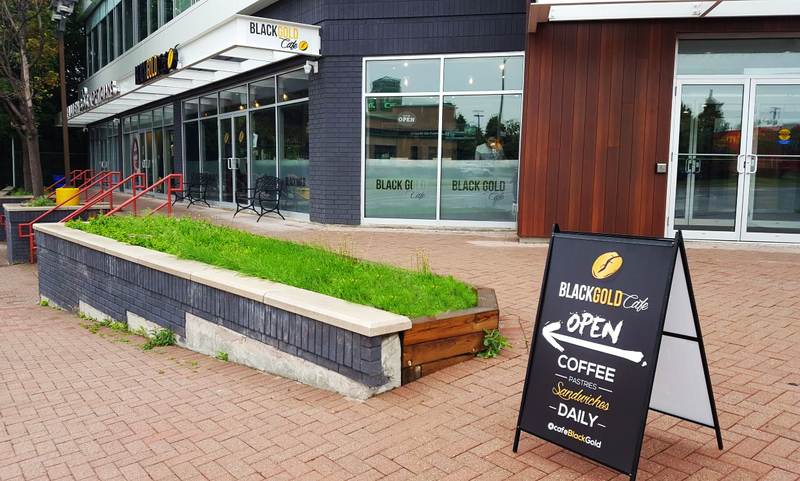 Black Gold Cafe is located on a very busy streetside, where it is difficult to quickly be visible. Many customers complained about not being able to find the cafe. This A-frame sign gave them a visible presence for those driving on the busy street to pinpoint their exact location. 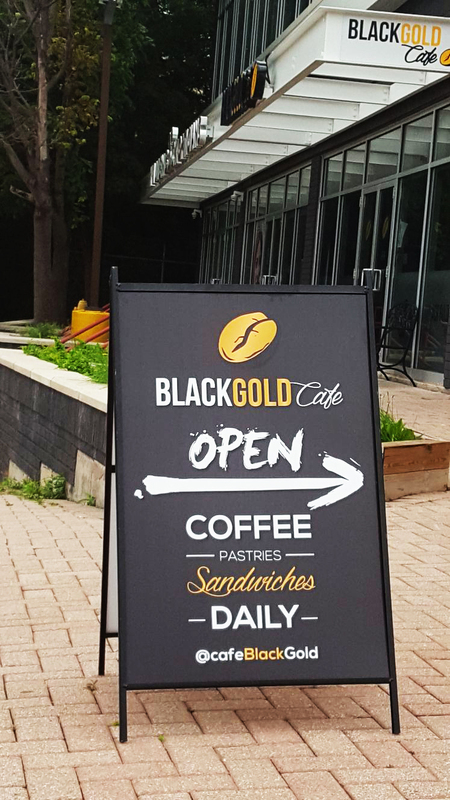 The sign reflects the Cafe’s classy. yet whimsical atmosphere. Coffee is their emphasis, but their sandwiches and pastries are a force on their own. Large caps, and fleeting cursive was set to attract the younger generation.